Dedicated, prompt, quality and exceptional results. 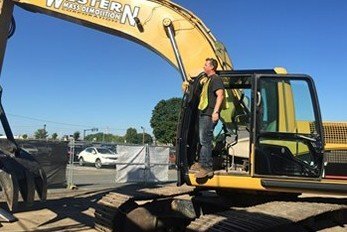 At Western Mass Demolition we pride ourselves on being knowledgeable in the latest and up-to-date demolition practices, rules, and regulations. We make it our mission to give you the best custom tailored services possible. In that process we make it our standard to be safe, efficient, and environmentally conscious. We will apply our knowledge and specialized equipment to meet the specific job requirements. Safety is smart and is first priority. Having a staff handle your project with proper knowledge and tools helps to avoid injury and/or harm. With every job, we take the opportunity to reuse, recycle, and salvage as much as possible. We want to make an effort today to have a clean tomorrow. We are up-to-date and have well maintained equipment to provide the ability to complete every job with confidence and pride. Please contact us today and view our recent projects to learn more.